So you want more power? Of course you do. If you’re keen on the idea, it’s likely you’ll already have covered the first and easiest steps — intake and exhaust. The efficiency of an internal combustion engine can be improved through better-flowing intake, and with exhaust set-ups optimized for the engine’s characteristics and intended usage. If such avenues have been pursued and you still want more power, what can you do? In addition to revising the camshaft events, one of the best methods of bolt-on power relates to the cylinder heads. Whether this means swapping the existing items for better-flowing factory castings, having the existing intake and exhaust ports modified, or going for aftermarket bolt-on items, optimization of cylinder head airflow has the potential for significant gains. We are lucky enough to be enjoying somewhat of a golden age in terms of the automotive aftermarket, with affordable performance parts for almost every conceivable engine. However, in the case of the more popular options — such as GM’s LS series, the old faithful Chev small blocks and big blocks, and Ford’s Cleveland and Windsor small blocks — the market may appear to be saturated. How do you choose the best aftermarket option for your combination, and how do you know what to look for? It is important to make as informed a decision as you can, based not only on the heads you are looking towards, but the existing combination to which they will be added. Why is this? The cylinder heads determine the engine’s performance characteristics from idle all the way through to redline, not just in terms of outright power but in allowing the nature of power delivery that is sought. Improved throttle response, ‘fatter’ power and torque curves, and peak horsepower can all be generated through selecting the right cylinder heads for the engine combination. However, in order to do that, it is important to focus on the overall characteristics and not on just one specific figure, such as peak flow. Like many other things in life, the decision to swap cylinder heads does require at least a basic understanding of what you’re working with — not only in terms of the existing cylinder head, but also of the overall engine combination. Without that baseline information, any modification will be a lesson in trial and error. It is impossible to overstate the importance of ensuring that the cylinder heads selected are correct for the existing combination. Looking further into this requires considering specifications around the camshaft events, the existing pistons and compression ratio, and the intended purpose of the engine. “When choosing a cylinder head for an application, the first consideration is the intake runner, as this will have the most influence on engine performance. When planning your build, be mindful that the entire runner, from the plenum, or bell mouth, down to the valve, needs to match your application properly. The motor doesn’t know you have a separate head and a manifold; it just sees a column of air/fuel. Choosing the pair together to match one another and to match your engine design is very important. “One of the biggest thing we see people getting wrong is to do with size — someone wants to buy a head, but all they see is airflow. It’s important to get the port volume right for the engine, more so than maximum airflow. If you think of the internal combustion engine as an air pump, it doesn’t know or care about the brand or specifications of the cylinder heads it breathes through — they will either work efficiently or not. The more efficiently air and fuel can be transferred into, and out of, the combustion chamber, the more torque and power potential there is to be unlocked. Note that efficiency is key, not overall size — whether in terms of port sizing, port flow, or valve sizing, bigger is not necessarily better. It is important to optimize intake runner size to suit your specific application, but there is no ‘one size fits all’ when it comes to cylinder heads, and no hard and fast cheat sheet to tell you precisely what is going to work best on your engine. However, they must all obey the same basic principles, and an understanding of these principles may help you make an informed decision when purchasing. Do you need to splash out on top-of-the-line bare alloy heads, or will cheaper ready-to-run examples be all right? Port design: Ideally, the design of intake and exhaust ports would permit as straight a path as possible for air to enter or exit the combustion chamber, and their design would complement the existing engine. However, the intake or exhaust charge must navigate the head of the intake or exhaust valve, which represents a restriction no matter how efficient a head’s flow characteristics otherwise are. Many factory castings will be compromised in terms of port design, with outright torque and power almost never a priority, due to the constraints surrounding mass production — fuel economy, emissions, or noise, vibration, and harshness (NVH) requirements. In the case of older engines — produced before the 1990s, as a rough rule of thumb — a switch to an equivalent aftermarket casting is almost certain to yield immediate results. That being said, more modern designs — such as Chrysler’s third-generation Hemi — have benefited from technological advances in terms of both design and manufacture, offering a very well-balanced design from the factory, with efficiency and outright flow. Likewise the GM LS series of V8 engines, which offers a large number of factory-cast heads, in cast iron and aluminium, and with various port and chamber designs, and valve sizing. “In a street situation, Chrysler cast-iron heads benefit from pocket porting, which is the area directly below the valve seat. This, along with a good radius seat job and cleaning up the port, will give a reasonable gain. However, most people these days are using alloy heads, as there is now a head for just about every motorsport or street application. Port sizing: Like many aspects of engine design, bigger is not always better. Quality over quantity certainly applies here — you want a port that is of the best quality for your application, rather than what may yield the largest numbers. It is important that the port is not too large in volume or cross-sectional area. Unfortunately, it can be very difficult to identify any differences between two cylinder heads with the same intake port volume, although the port design is likely to differ significantly. In the case of someone seeking a relatively easy way to free up a few ponies, opting for anything near the largest port sizing available is unlikely to be beneficial. At lower engine speeds, a larger diameter port will yield lower air velocity than a relatively smaller port, and, although it may open up airflow potential at higher rpm, this is by no means guaranteed. Unless the entire engine combination is being revised, it would be advisable not to get too radical with the cylinder head profile. On the other hand, a smaller diameter intake port will yield greater intake velocity at lower rpm, optimizing peak torque, and therefore power, lower in the rev range. This is an important principle to consider in relation to how you wish to use your engine. Port matching: The concept of port matching is a reasonably simple one, generally referring to the intake side of the cylinder head. 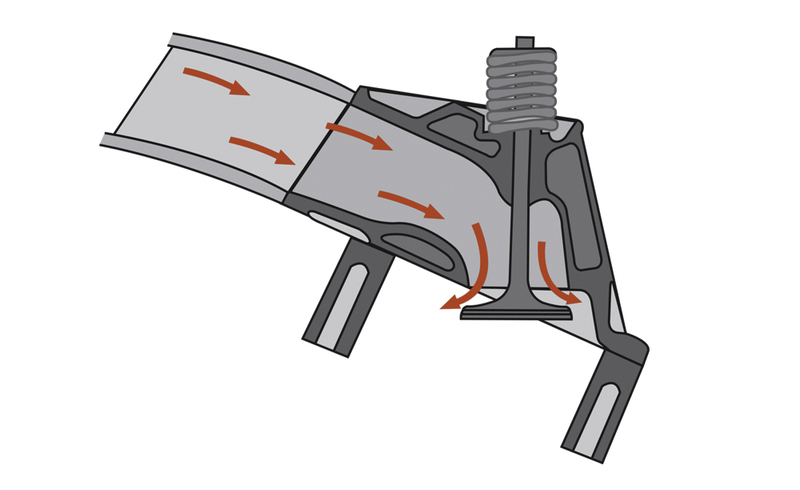 The idea is to align the opening of the intake port and intake manifold runner, as well as the gasket opening, to provide as smooth a transition between the two chambers as possible, ideally minimizing any intake turbulence that would result from an unequal join between the intake manifold and cylinder head. The more efficiently the intake charge can travel through the intake port, the more effectively it can fill the combustion chamber. It is also something that the competent home engine builder can attempt with the correct equipment, although it would be advisable to consult a specialist. The relative simplicity of port matching means it should not be an expensive modification to make. “On some cylinder head flow charts, we see intake to exhaust flow percentages; some say you want exhaust flow to be 75 per cent of intake flow, but that’s not correct. The two have very separate jobs to do in the engine cycle. The required exhaust flow is application dependent, not intake-flow dependent. Valve angle: The principle of valve angle is really only applicable to aftermarket heads, where a range of heads is available. This is especially notable in the small block Chevrolet engine range, which offers perhaps the largest selection of valve angles on the automotive aftermarket — from 23 degrees right down to 9 degrees. A cylinder head’s valve angle is measured relative to the cross-sectional flat plane of the deck, and is better explained visually such as by the diagram provided. Drawing a vertical line at 90 degrees to horizontal, valve angle measures the incline at which the valve travels relative to vertical. The narrower the valve angle, the closer to vertical is the valve’s range of motion — this gives a relatively steeper valve, with a raised runner. Imagine a traditional set of small block Chev aftermarket heads, with 18-degree and 23-degree intake valve angles. Presuming both heads offer the same volume, the port profile of the 18-degree head will be inherently longer and higher, giving a more efficient fill of the combustion chamber, by limiting intake air interference with the cylinder wall. It is generally accepted that valve angles in the range of 11–15 degrees are optimal for pushrod V8s. How does this information benefit you in terms of making an informed decision? If you have an engine that has been built with performance in mind, the additional flow potential of raised runner heads may be put to good use. However, it is worth bearing in mind that a narrower valve angle does not come free of cost, as the ports must be moved to maximize airflow potential. 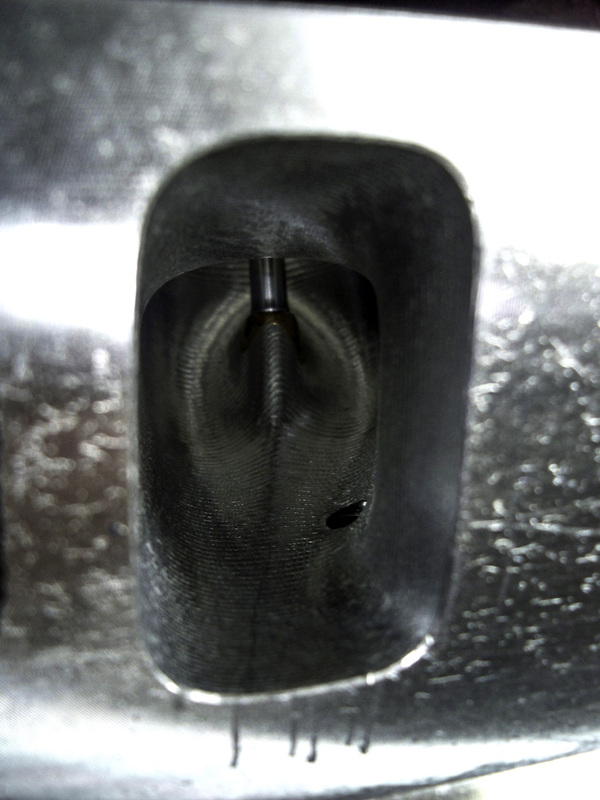 The new intake port entry angle means a new intake manifold will be required to suit, and the same is likely to apply for the exhaust manifolds for clearance purposes. Adding the possibility of needing to replace the valves, springs, and rocker gear makes this an expensive proposition, and one best discussed with an expert before pursuing. Traditionally, the design of a cylinder head’s combustion chamber would be one of two styles — open or closed. By nature of their design, open chamber heads gave a greater combustion chamber volume, with a full-sized circular combustion chamber when viewed from beneath. Closed chamber heads were designed with smaller chambers comparatively more ‘D’ shaped. This is an important consideration when selecting second-hand factory-style cylinder heads for your engine. Will the chamber size work with your existing combination to give you the desired compression ratio, considering the fuel being used? Most people considering swapping cylinder heads will not be completing full bottom-up rebuilds, but seeking a few extra horsepower from an existing combination. A switch from open chambers to equivalent closed chamber heads can be a reasonably cost-effective and straightforward method of increasing compression. However, be mindful that compression too high for your fuel and intended application can have expensive consequences. 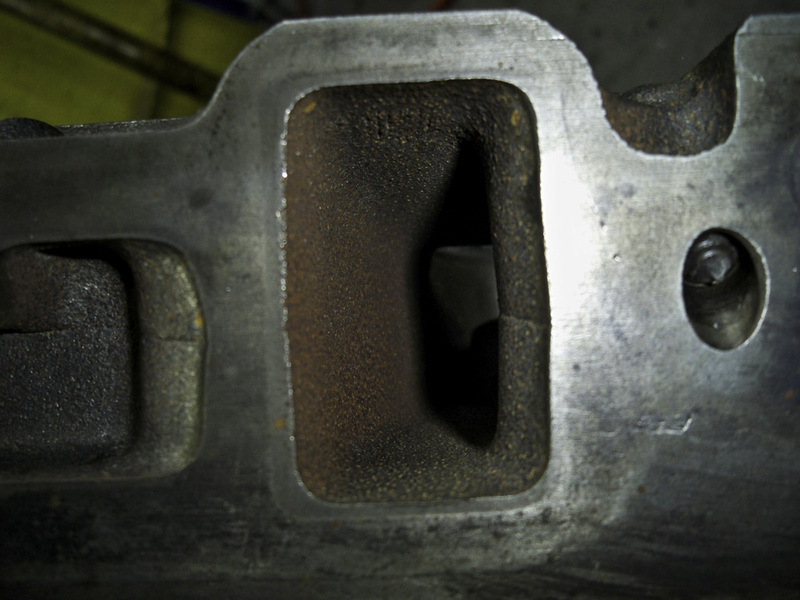 Conversely, a swap from closed to open chambers can work as a cost-effective means of dropping compression for reduced risk of detonation in forced induction, or heavily loaded applications. Say you have a 302 Cleveland — a 9.7:1 compression street engine with 4V closed chamber heads — in a Capri with a manual transmission. The lightweight car will be a very quick street car with a strong top end, while remaining reliable on high-octane pump gas. Swap this engine into an F100 used for towing, on the other hand, and a switch to 2V open chamber heads would make sense — the open chambers to drop compression to a safe zone, and the smaller ports to shift the torque curve lower in the rev range, suiting the application where low-down grunt is required. Of course, both examples would benefit even more from a corresponding camshaft swap, but that falls outside the scope of this article. As far as the compression ratio of an engine goes, it is important that you pick your heads to suit the engine, rather than building an engine to suit the heads. Don’t install dome-top pistons to fill open chamber heads, when a swap to closed-chamber heads will almost certainly work far more efficiently — for efficient combustion, the flame must be able to travel through the compressed air–fuel charge as quickly as possible, and a dome-top obstructs flame travel through the chamber. This is one reason why it is important to consider all aspects of the engine when selecting heads, or any other part, so as not to get hung up on numbers that mean nothing out of context. Here we can see an approximate comparison of two different heads with two different valve angles. The raised runner gives the intake charger a far more direct path from the inlet port through to the combustion chamber. “In a street engine, with our current fuels, stay conservative with your compression ratio. A good rule of thumb is 9–9.25:1 with cast-iron heads and 10–10.25:1 with alloy heads. These ratios will still require the use of 98 octane. In some areas of New Zealand, where 98 octane is not available, the ratio will need to be lower. As far as the automotive aftermarket is concerned, you’ve got two choices when it comes to cylinder head raw materials — iron or aluminium — both of which have advantages and disadvantages. The most obvious of these comes down to weight, as iron is naturally heavier than aluminium — in the ballpark of 50lb (23kg) per pair of heads. That said, there is also a cost advantage, as cast-iron heads tend to be synonymous with ‘factory’, which in turn yields an inherent dollar saving as predominantly second-hand items. Of course, aftermarket manufacturers also manufacture cast-iron heads for budget applications, or race applications where iron heads may be required. The thermal efficiency of aluminium as a material means that, in theory, greater compression can be run without risk of detonation (pre-ignition) — as the compression ratio increases, so, too, does the heat produced. On the flip side, overheating poses a greater risk of warping aluminium cylinder heads, and creating an uneven seal between the head and block deck. Aluminium heads are also comparatively easier to repair in the event of a component failure resulting in physical damage — however, the inherent durability of cast iron means that an equivalent cast-iron head will be less prone to that damage in the first place. If you’re running a street car with a bit of boogie, aluminium heads would make a great choice for weight saving and power potential. However, if you’re keen on keeping a stock appearance, or use your vehicle for heavier work, cast-iron heads are more likely to be a safer bet. With the information provided by our trusted experts, you should find it easier to make a more informed decision when it comes to upgrading the cylinder heads on your engine. However, if this article has left you with more questions than answers, don’t worry — you know who to call! Thanks to Kevin Ban from Horsepower Heads Ltd, Dave Rosewarne from Cylinder Head Specialists, and Eric Livingstone from West Auckland Engine Reconditioners.